It’s tough to be in Nokia’s shoes right now, with so many people expecting them to fail. Today, the Finnish phone manufacturer released second-quarter financial results and, despite public expectation, financials aren’t what we might expect. If we're to believe all rumors posted on the Internet the past days about Nokia’s financial state there wouldn’t be a need to read their press release. Reality is different. Phone sales increased quarter on quarter and year on year, with Lumia Windows Phone exceeding predictions. Let's kick off with the numbers: Nokia’s operating loss amounts to EUR826 million ($1.01 billion). The Finnish manufacturer reduced its operating loss from EUR1.3 billion ($1.6 billion) over the previous quarter, which surpassed predictions of a bigger financial loss. At the end of the quarter they’ve got EUR102 million ($125.5 million) in net cash, far better than the EUR590 million ($724 million) deficit of last quarter. Nokia posted net sales amounting to EUR7.5 billion ($9.2 billion), up EUR0.1 billion ($122 million) from the previous quarter. When it comes to Q2 net sales, there’s good news and bad. Devices & services sales are the bad, decreasing by 5 percent quarter-on-quarter. The good news is rather surprising considering Nokia lost the top spot on phone sales to Samsung: they’ve sold more phones quarter on quarter and year on year, now up to 73.5 million devices. The real surprise comes from the Lumia sales volumes, which have also increased to 4 million in Q2 2012. Total mobile device sales amount to 83.7 million, up 1 million over the previous quarter. Even with the increase in sales coming from Lumia devices, Nokia can’t stop the decline caused by their other smartphones. Smartphone volumes have decreased over Q2 2011 (16.7 million) and last quarter as well (11.9 million), currently amounting to just 10.2 million devices. Four million Lumia smartphones have been sold so far this quarter, while Symbian has primarily driven the sales of Nokia “Smart Devices” to a decline in all regions, except for North America. 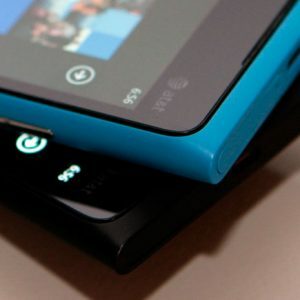 AT&T made a rather interesting choice then by slashing the price of the Lumia 900 in half to $49.99, which I believe will have a positive effect on sales of Windows Phone devices. Surprise, surprise, the Lumia 900 (AT&T) and Lumia 710 (T-Mobile) sales have managed to confirm what I’ve already said before: stop focusing on Symbian, invest more resources on Windows Phone. I just hope Nokia finally realizes that it’s time to let go of Symbian and move on to an operating system with better market potential. It kind of makes them look bad now after releasing the 808 PureView with Nokia Belle OS (Symbian), doesn’t it? Nokia expects similar results the next quarter and it’s to be expected that change doesn’t come easily. Gambling on Windows Phone might yield the desired results for Nokia and while they are currently facing tough times with poor sales and profits over previous years, there’s still hope if they direct focus onto a single ecosystem. The market potential is there, and while it may be tough for Nokia to let go of their beloved Symbian, maybe it's time to call it quits and focus even more on what's profitable.